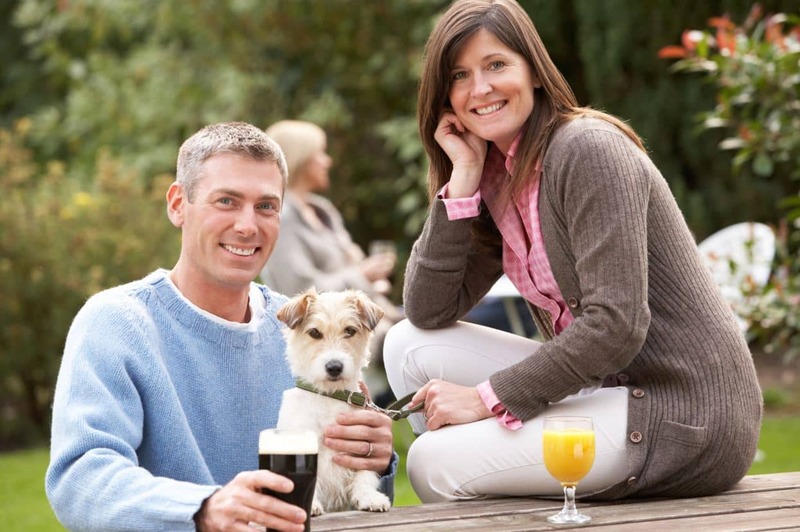 Here is just a small selection of our favourite watering holes where your best friend will be as welcome as you are. All invite with a warm fireplace during winter and stunning views from their outside spaces in summer. All are full of traditional character, beams, nooks, crannies or flagstones floors. All offer a menu of delicious home cooked meals, most crafted using local ingredients. Perched on the Southwest Coastal Path above Middle Beach, the Banks Arms Hotel has been a favourite watering hole for weekend sailors for years. Always a huge roaring fire in the winter and fabulous sea views to be enjoyed from their huge garden on sunnier days. And now for the best bit; dogs are allowed on Middle Beach without leads, all year round! This aptly named pub is probably the most photographed pub in England due to its location directly under Corfe Castle. Chic and rustic. Cosy and welcoming. During spring and summer the garden and outside bar is the ideal spot to soak up views of the castle along with your favourite tipple. A super quaint, historic 16th Century village Inn which retains many interesting original features. Some parts of this welcoming inn date back to 1549. Open fires invite in winter and on warmer days the garden is perfect for enjoying stunning views of Corfe Castle and the Swanage Railway steam trains. 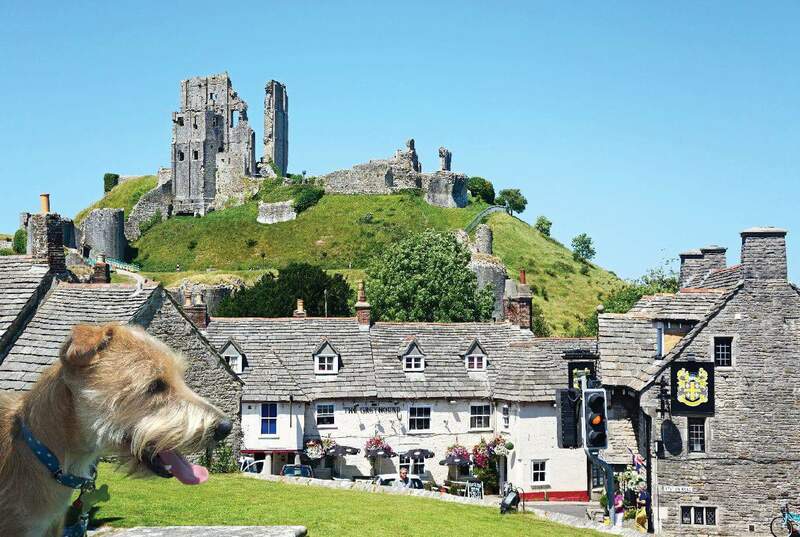 Arguably the best views of the rolling Purbeck hills crowned by Corfe Castle are rewarded to visitors to this characterful old inn. As welcoming to pooches and their human pals in their lazy summer outdoors days as in the fireplace-cosy warmth of winter. This quirky, unique, flag stone floored alehouse houses a fossil museum within its’ snug, unspoiled interior. Outside, thirst quenching views reach far out to sea. It a great place to mingle with artisan locals, in-the-know pilgrims and music lovers keen to enjoy village folk playing their tunes. Cider and ale spill from the serving hatch together with a variety of tasty pasties and pies homemade each day. Only a short stroll to the sea, this a pooch perfect pit stop following off season walkies on the sand or run along the prom in Summer. 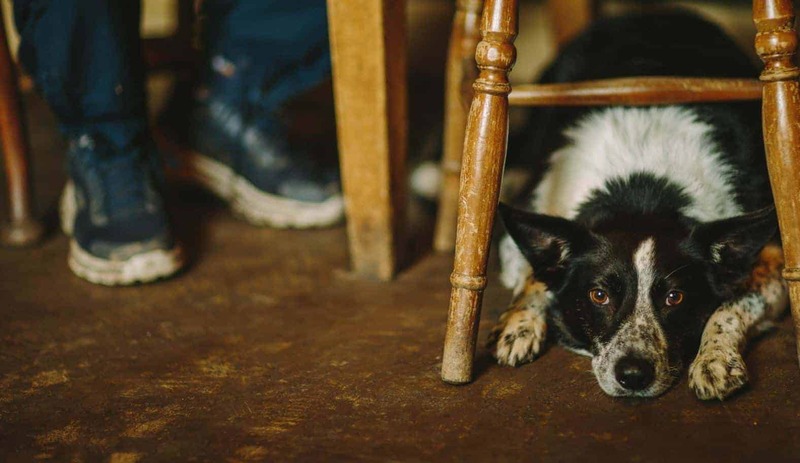 The Black Swan is a favourite with the locals, so if you want to treat yourself to a tasty meal we suggest you book ahead not fogetting to mention you have your dog buddy with you. Thatched, traditional and cosy, The Halfway Inn oozes atmosphere within its’ nook and cranny interior. Outside there is a playground for children, large garden with countryside views and a quaint courtyard garden. Staff are especially welcoming to their four legged guests, with frequent bowls of water on offer. Perfect-for-every-occasion, this charming all-day café, bar and dining room occupies an envious spot on the River Frome. Watch boats bob from the terrace decks or picturesque quayside whilst you relax (you can even treat pup to a doggy ice-cream). Inside, the tasteful decor hosts a special doggy drinking hole. This buzzing beach bar is a popular crash-out-in-front-of-the-fire reward for dog owners following a winter leg stretch along this golden beach. Jazz lovers are treated to free live music on Sunday afternoons and during the warmer months there is a dog friendly section of beach for your dog to enjoy accessed via the prom. 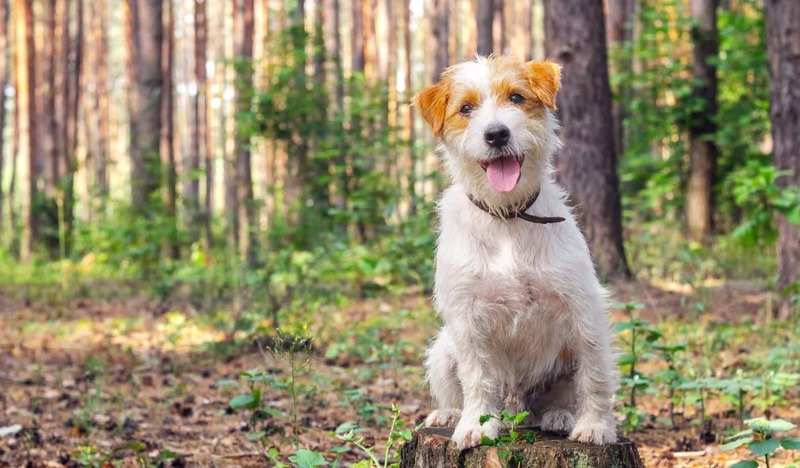 Burnbake Forest Lodges now offer two dog friendly lodges where your buddy can ‘stay’ too.